Vivid Color Display, Outstanding Power and Built-in Contactless Option Ingenicoâ€™s new generation iCT250 terminal combines its outstanding color display, the power to process 500 million instructions per second, the latest PCI PED 2.0 security, and the revenue opportunities of countless value added services in one unique family. 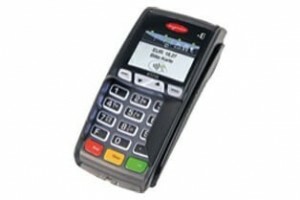 A contactless EMV payment option supports card and mobile phone Near Field Communications (NFC) payment. The base unit contains Ethernet and fast dial modem support. Add an optional communications module (GPRS/Wi-FI/Bluetooth) and you have a configuration tailored to your operational needs.